When I think of a category of games and attempt to decide which is best, I end up with what the first was and what the best was since then. Whatever game did something first receives a lot of weight because it initiated a concept or formula. Everything to come in that game’s wake can improve upon concepts and formulas however and excel past the original in many ways, but the original always holds a special place. 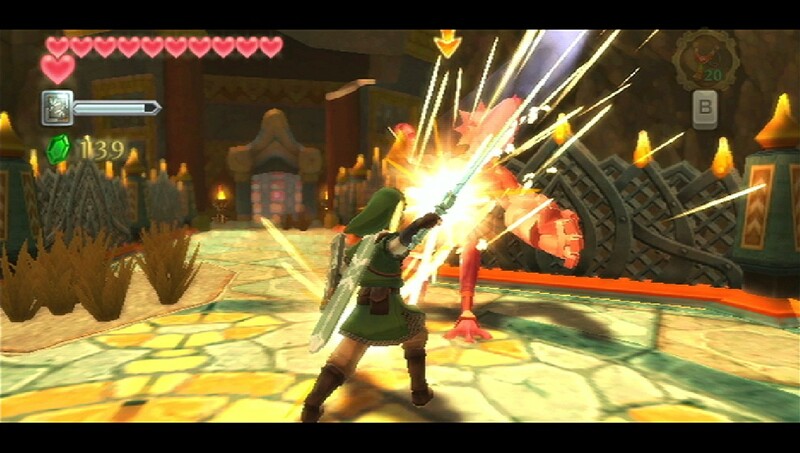 Keeping with this idea, I believe The Legend of Zelda: Skyward Sword is the best 3D Zelda game since Ocarina of Time. 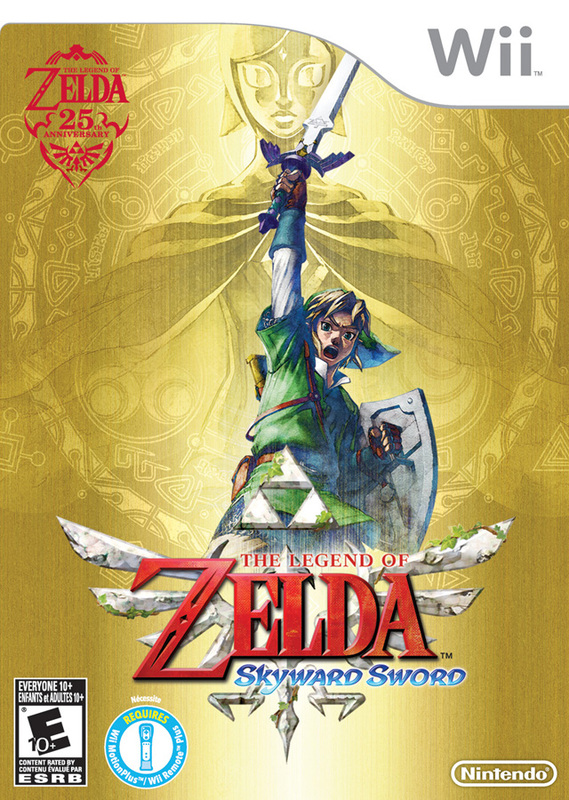 Why do I feel that way about Skyward Sword, the most recent game in the series? It seems like during the development of Twilight Princess the developers had Ocarina of Time forefront in their mind and the goal of being bigger and better. Twilight Princess is definitely a fantastic game but thanks to the visual style, it felt very similar to Ocarina of Time and not necessarily a step forward for the series. I feel during Skyward Sword’s development, the developers now had the idea of doing something new within the familiar Zelda format. I believe this can be attributed to the inclusion of enhanced motion controls. Because of the inclusion requirement of the Wii MotionPlus, enemies and puzzles seem fresh. There are many familiar enemies but defeating them requires evaluation. Common enemies like the goblins could block my attacks so I couldn’t just wail on them. There are a ton of new enemies that require special methods to defeat too. Puzzles were devised around the 1:1 movements that the controller would pick up and they were fulfilling. My movements weren’t picked up exactly 100% of the time and when this happened, it was annoying. When the motion controls didn't work in a fight, it could be devastating. With the developers having to develop around the new functions, it brought the concept of doing something new to other areas of the game, like the soundtrack. It’s performed by an actual orchestra for the first time in the series, and it sounds good! I heard some very unusual songs (that I enjoyed) throughout dungeons. Overall, it helped to set the mood when exploring and matched the tone of touching moments, and there were a lot of touching moments between Link and Zelda. In Skyward Sword, Link and Zelda are just normal kids. Well, normal kids who then realize that they were chosen by the deity Hylia to save the world. The game’s introduction sets up their relationship as well as the relationships between their neighbors. They felt like normal kids instead of a princess and a hero destined to save her. The quest was enthralling, although a little tedious to always chase after items that are in multiple pieces. It makes sense to have checks and balances but at some point you’d think all these supreme beings would realize all I’ve gone through and say “yeah, you’ve proved yourself already, here you go”. In the end, there was a lot of interesting information dropped on me about the historical chain of events relating to Skyward Sword and the series in general and the last couple of hours were packed with memorable moments for the Zelda fan. One thing that helped to make Skyward Sword feel fresh was the visuals and the setting. As I mentioned in my first impressions of the game, Skyward Sword features an interesting art style that looks fantastic on the less than stellar powerhouse that is the Nintendo Wii. Skyward Sword isn’t set in traditional Hyrule though. Instead, Skyloft, a floating island in the sky acts as Link’s home base. With many shops and residents with side quests, I had plenty of reasons to return throughout the quest. In the sky were a handful of other floating islands and it was a large overworld, but it took too long to get places and there wasn’t really a lot to do. To get to the ground though, where all the dungeons were, I’d have to fall through holes in the clouds. Getting to the dungeons required traversal of many other obstacles including forests, oceans of sands, and volcanoes. Getting to the actual dungeons were challenges in themselves. The surface areas were not entirely accessible from the beginning and I returned to and uncovered much more about them with each return. 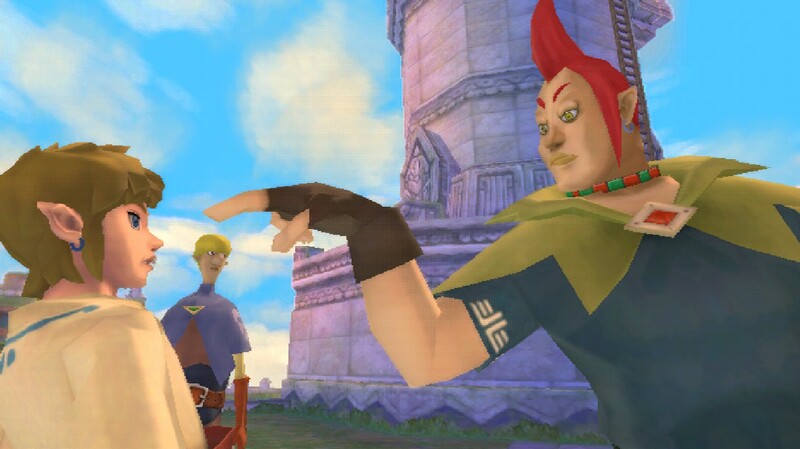 Skyward Sword had an interesting cast of characters. Skyward Sword is a much fresher Zelda experience than Twilight Princess was. It’s still a Zelda game through and through with a similar format and story but it shines brighter because of what it requires. Combat and puzzle solving has been reinvigorated thanks to the 1:1 movements. The surrounding elements feel fresh and are enthralling too. Skyward Sword is a fantastic Zelda game and a fantastic game in general, worthy of being placed together with any recent release.